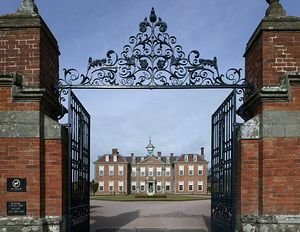 When Thomas Vernon commissioned Hanbury Hall to be built near Droitwich Spa, he employed only the best designers and artisans to create this lovely William and Mary-style mansion and gardens. Thomas Vernon was a wealthy lawyer and MP for Worcester and the elegant house remained in his family for almost 300 years. Sir James Thornhill, best known for his magnificent murals in the Painted Hall at Greenwich, created the baroque staircase wall paintings and ceilings which draw admiration from most visitors after their extensive restoration work. 1770s it has all been ripped out and changed to a more natural landscaping plan. However, using James Dougherty's 1731 garden survey and funded in part by an EU grant, the 8 hectare (20 acre) formal gardens were restored back to their original grand state in the 1990s. The gardens are a truly spectacular sight and are an unforgettable part of any visit along with the 1740 orangery and the ancient ice house. The red brick house with its hipped roof, central cupola and dormer windows still makes an impressively grand statement with its pedimented entrance on Corinthian pillars. 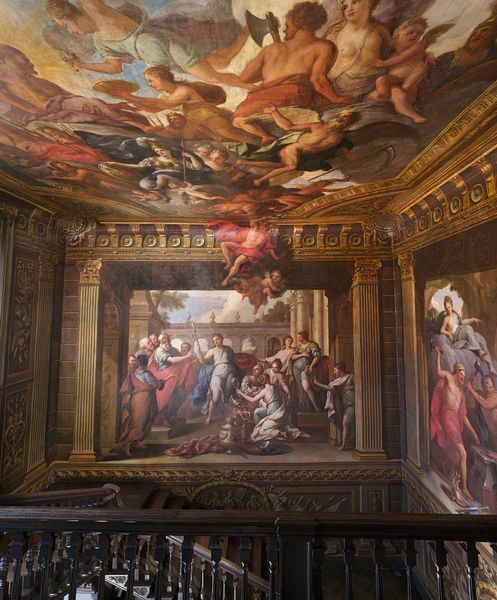 Inside, a guided tour of the house will reveal the magnificent Hercules Room and the recreated Gothic corridor. The house has a fine collection of 18th century furniture, a collection of English porcelain and the walls are decorated with colourful Dutch flower paintings. These were not the original contents of the house but are largely from a collection left to the National Trust by Mr. R.S Watney. 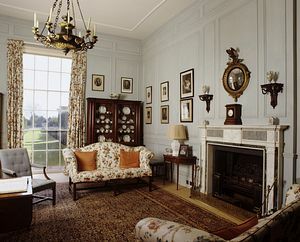 of Hanbury Hall's original contents were sold in the 1790s after a disastrous marriage between Emma Vernon and Henry Cecil, Lord Exeter. Despite their considerable joint incomes, the couple fell deeply into debt. Emma began an affair with the local vicar of Hanbury Church and eventually they eloped, leaving Henry to deal with the debts as best he could. Many of the original family portraits have since been recovered to decorate this fine country house. The lavishly decorated bed chambers have also been authentically furnished to recreate their former opulent style. 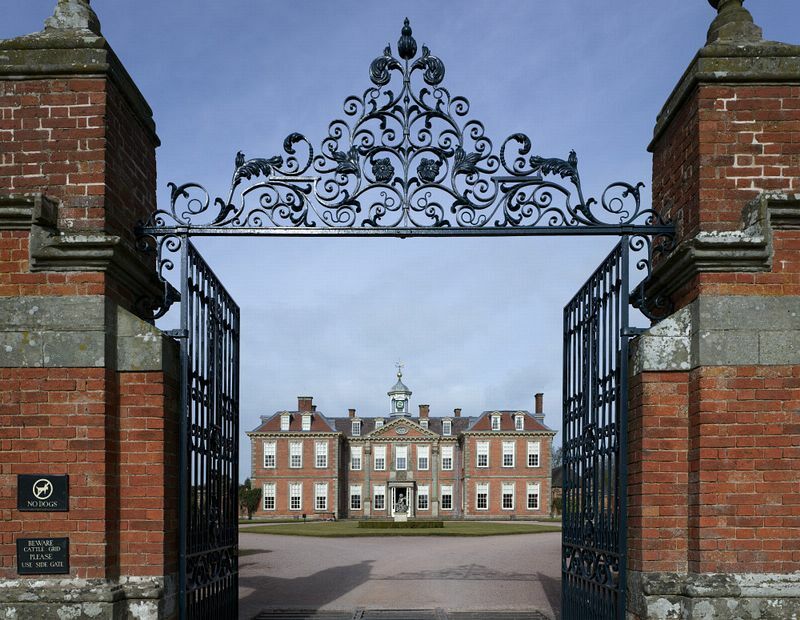 Hanbury Hall puts on a busy events programme throughout the year with themed weekends, art exhibitions and theatre performances to add value to any visit. There is a playground for children and visitors are welcome to try their hand at bowls on the 18th century bowling green. With a garden shop, café and restaurant, countryside walks and extensive grounds covering 162 hectares (400 acres) to explore, it is very easy to while away a whole day at Hanbury Hall.